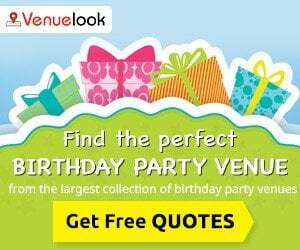 Just when a birthday party is over, kids typically wait for the next one to roll around! 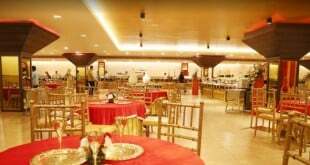 Whether it is their own birthday party or that of their friends, it is almost always the highlight of the year for them. Such an exciting event can be made even more drool worthy by having exclusive and unique kiddie invitations! 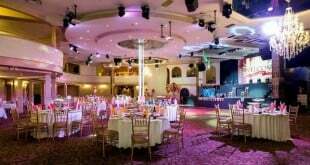 Invitations are important because they announce the all important party to the child’s friends and gives them something to look forward to. 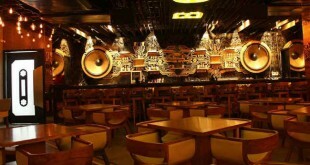 The more creative the invitation, the more excited they will be as they know they can look forward to a rocking party! A creative invitation also makes your child happy as it’s something different from the rest of the pack and makes them feel special. So whether it is for the birthday child or for their friends, a thoughtfully designed kiddie invitation make a great difference and sets the tone for the party ahead! 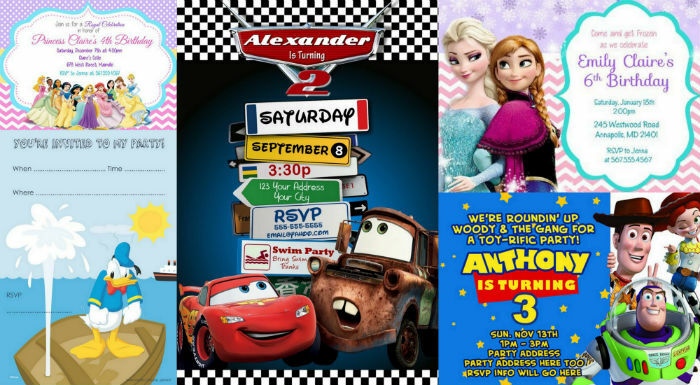 There are lots of different ways in which you can make a kiddie birthday party invitation different from the boring old printed paper or store-bought card. 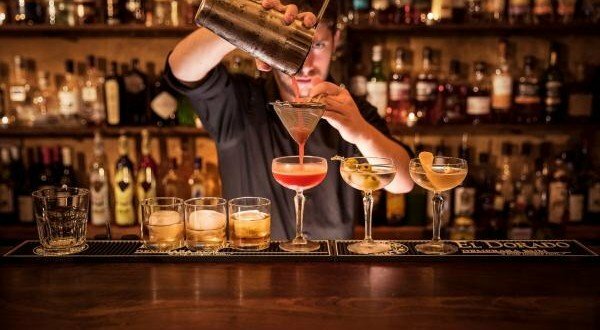 Here are some ideas that will show how much you care and give the children something to dream about until it’s time to party! 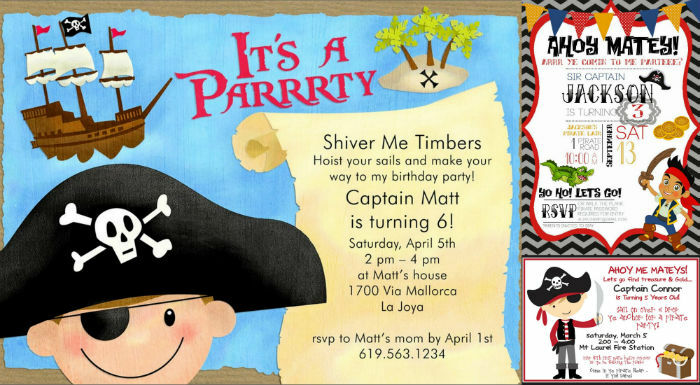 Kids love pirates, so how about a pirate-themed birthday party invitation? 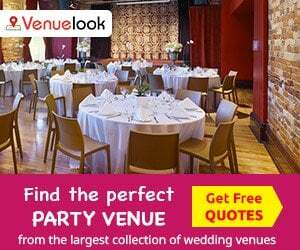 You can easily do this by having a treasure map of sorts designed on the card, with the birthday party venue being the spot of the treasure. Pinata invitations are going viral this year. 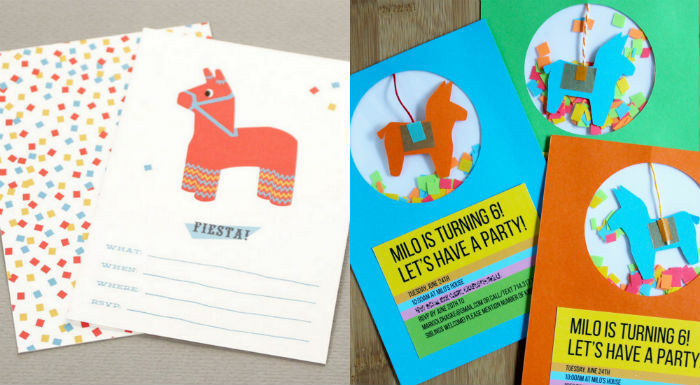 These are very exciting invitations where you can pop in the card as well as a little treat into the invitation that is shaped like a pinata. 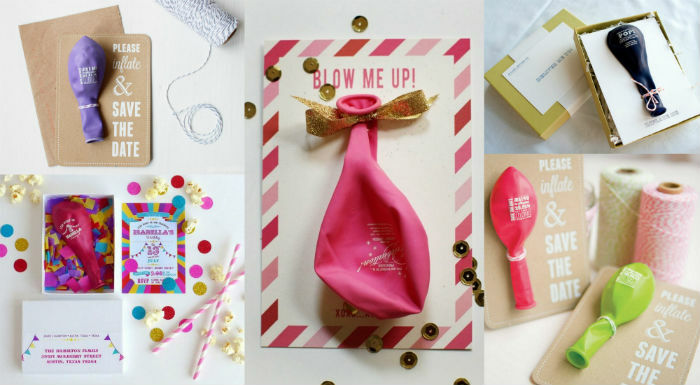 Another viral trend is printing the invitation on a balloon which is then taped onto an envelope. The child has to blow up the balloon to get the details of the invitation. This adds an element of suspense too the event and makes the children even more eager to see what’s going to happen at the party! 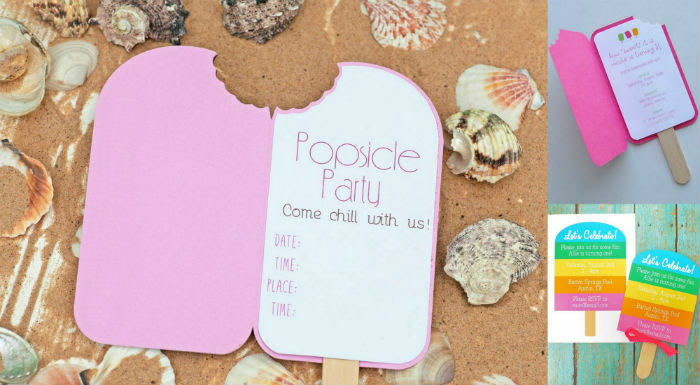 If the birthday party is in the summer months, you can easily make Popsicle shaped invitations by cutting out a Popsicle shaped colourful paper on which the venue and time is printed and pasting this onto the wooden stick to make it look like a Popsicle. 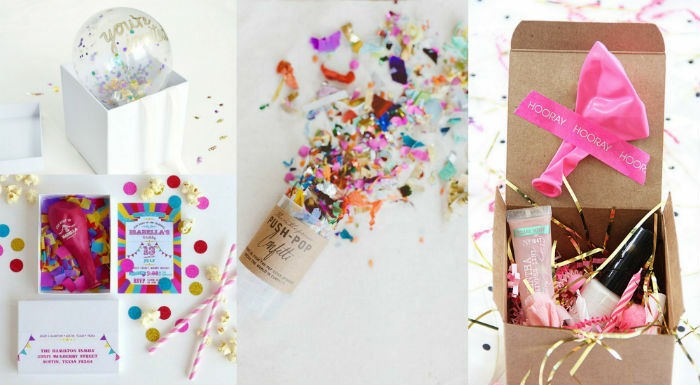 Make an invitation inside a confetti box and add a few treats like colour pencils, pens, balloons, erasers, stickers, etc., inside, as a sort of advance birthday party return gift. 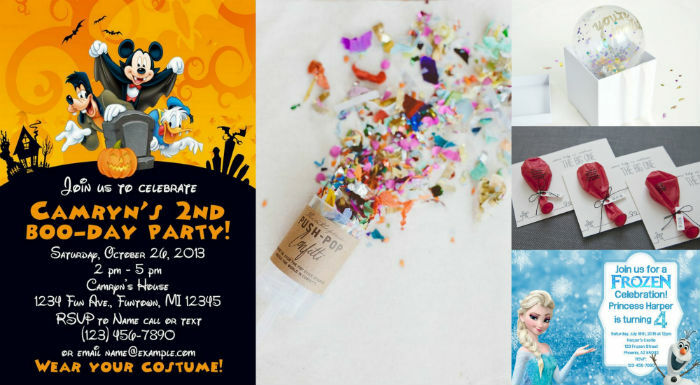 If you have a specific theme for your birthday party, such as a princess or Disney movie theme, then you could customize your invitations to reflect the theme of the party. So kids know what to expect and can’t wait to get there! 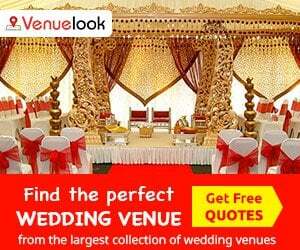 All of these ideas are guaranteed to make your child and his/her friends squeal with delight!